Some more fallout from my field trip last weekend in the southern Mother Lode of the Sierra Nevada. Ever wonder about what happened to all that gold that they mined in the Gold Rush and all the years afterward? What was the biggest nugget ever found? Are any good ones left? Rough estimates peg the total amount of gold mined in California in the last 150 years at just over 100 million ounces. Numerous methods were utilized, including placering, hydraulic mining, dredging, and hard rock mining. Open pit mines were opened in the 1980's but they were done in by low gold prices in the 90's. All of the mining methods had profound effects on the environment of the mountains, as well as the Central Valley and San Francisco Bay. 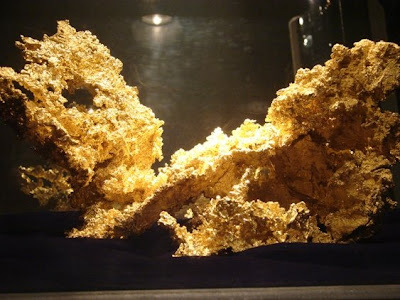 The biggest nugget ever recovered was found at the Carson Hill mine in 1854, and weighed about 195 pounds. It was smelted, of course, since no one cared how they looked. The largest surviving nugget of the Gold Rush era is the one pictured above, the Fricot Nugget, weighing in at about 13 pounds. It was found in 1868, lost to history after 1878, and was rediscovered in a safe-deposit box in an Angels Camp bank in 1943. It is on display today in the California State Mineral and Mining Museum in Mariposa (http://southyosemitemuseums.org/csmmm/index.php). 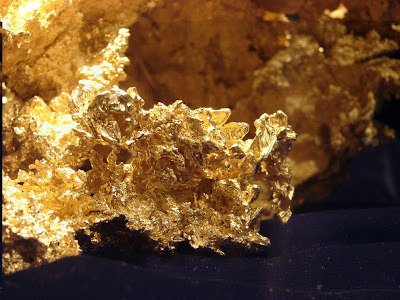 It is especially notable for the crystalline nature of gold. The picture above is about 3 inches across (for some reason, they wouldn't allow me to put a scale next to the sample). The whole nugget is almost a foot across, and is shown below. When I started teaching at Modesto, I got gold fever, just as many do, and wasted quite a few weekends panning, panning and panning, and finding miniature flakes whose aggregate value is at least a few pennies. Ironically, the biggest piece of gold I have ever found in my life was in literally the first pan I ever dipped into a river, way back in 1976, in the midst of one of the worst droughts in California history. 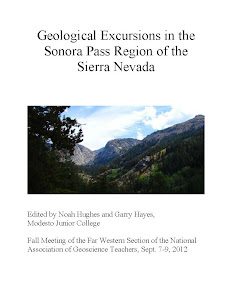 It was my second geology field trip, when I was at Chaffey Community College. The low water on the Stanislaus River near Highway 49 allowed me access to some very deep potholes, and as I was spooning out some gravel, I saw the flash of gold that turned out to weigh way less than 1 gram. I could even hear it tumbling in the glass cylinder! Well, it was a nice moment, never to be repeated again in 30 years! Anyone else ever find anything good? I have found some "v.g." here and there (visible gold), but nothing at all like that! When i was in Porterville, there was a local guy who had a trailer with a trough on it, and we would come to schools so students could learn about gold panning. He charged a few bucks per kid and guaranteed that each kid would find gold. I think he came to my class about 5-6 times, and i have a small vial with about a quarter ounce that I accumulated. Then a buddy of mine and I went out to the Mojave Desert (Last Chance Canyon near Mojave) and panned some out there - very little to find, but a little. Then, one day, a colleague (biology teacher) came to my room with a core sample he had been given many years earlier. The core was Sierra granite, was drilled through a vein, and had a LOT of gold in it. I had never seen anything like it before or since. Very cool. But as I tell my students, if gold was easy to find, everybody would be finding it. 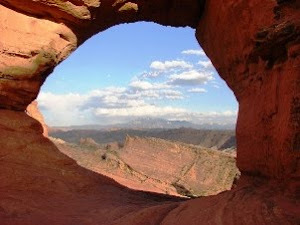 The biggest nugget ever recovered was found at the Carson Hill mine in 1854, and weighed about 195 pounds. Two words - Welcome Stranger! - 4300oz or over 200lbs. Get Rich Being a Geologist! But...? Did someone forget their offering to Pele? Picture of the Day-Igneous or Sedimentary? Do Geologists Have a Death Wish?